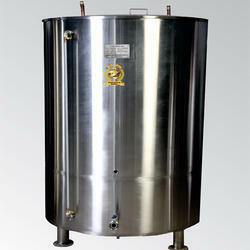 We are a well known manufacturer of Ice Water Tank. Judicial mix of men and machinery has enabled us in meeting the requirements of our clients by offering a qualitative range of Ice Water Tank. These refrigerating systems are used to maintain moderate temperature and are widely demanded in industries. Further, the offered refrigerating systems are designed and developed using high quality raw materials under the guidance of our skilled professionals. Our offered refrigerating systems can be provided in different specifications as per client's requirements at industry leading prices. Looking for “Ice Water Tank”?